There’s been a lot of buzz around this freshly minted summer beauty collection, and most of it’s focused on the foundation. I totally get that: not only is it beautiful, but it’s Chanel’s first cushion foundation compact, so it’s kind of a big deal. But it also means that the eyeshadow palette is flying under the radar and that, my makeup loving pals, is a crying shame because it’s every bit as special. The Les Beiges Healthy Glow Natural Eyeshadow palette, €58, is a quintet of elegant neutrals: there’s a light beige base colour, a warm and cool toned matte brown, a grey/black that can be used in the outer v or to line the eyes and a satin pearly pink highlight shade. The colours are all eminently wearable, wantable and usable – this is a really well thought through palette, with shades and silky soft textures that should suit literally everyone. I like that the base colour is really generously sized, because it’s the shade most women hit pan on first. I also like that this palette bucks the trend for summer shadow: while we see a lot of neutral palettes in the autumn, summer launches tend to be more colourful affairs. Now bright colours are pretty and they have their place – and for me, in my advancing years, that place is in the waterline. On the lid, a neutral is a lot more wearable, especially in the summer when I like to wear the ubiquitous ‘pop of colour’ on my lips and nails. 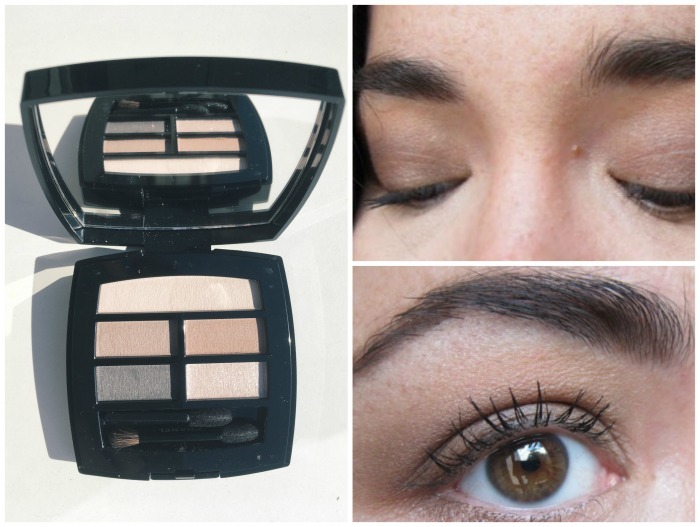 And here’s the best bit: it is literally impossible to mess up your look with this palette. No matter your age, haste or level of expertise with application, you’re gonna look great. That’s because the effect is, as the name suggests, very natural – and that makes it incredibly versatile and easy to wear.I have applied these with my fingers, with the applicators that come with and with my own brushes and been pleased with the results – I look just like me, just better. That’s the deal with the entire Les Beiges range, and the Healthy Glow gel touch foundation, €55, is another little marvel. I approached this with mixed feelings as there are rumours it replaces the original Les Beiges foundation that I know and love so well. This is an entirely different product and does entirely different things to your face. But they are very good things indeed, so it’s hard to stay mad at it. 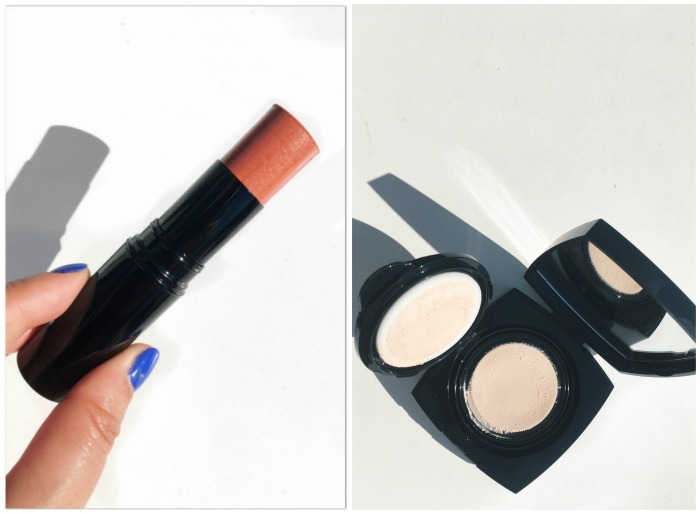 Firmly in that weightless, second-skin camp, this delivers little in the way of coverage, but much in the way of glowy, beautiful and natural looking skin. Seriously, it's a kind of magic (one dream, one soul etc). And since it's been sunny for more than 5 minutes here in Dublin - another kind of magic - I've had the chance to test it in the weather for which it was intended. I'm mad about the finish - and the water-based gel formula feels so refreshing on your skin as it's applied. The photo above isn't the most flattering of me, but it gives a true to life picture of the lit-from-within glow this product can give you. There’s a good shade range – it comes in 9 shades – and this is one I want to own in several colours, depending on my level of tan. At €55 a pop it’s gonna be an expensive habit, no doubt - but you guys, there’s no going back. Finally, an honorable mention for the sheer colour blush stick, €41, which is lovely, works brilliantly with the other products and is probably the best cream blush I own. It’s all on counters now – will you be checking it out?